As the name already says, mountain biking is a mountain sport. The most obvious characteristic of a mountain is the elevation. 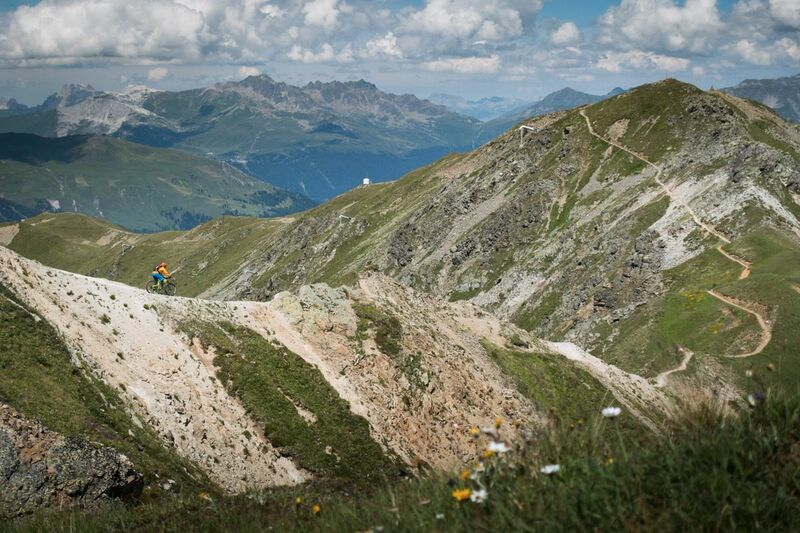 No matter if it is a small hill or a high alpine peak, climbing and descending is what makes mountain biking. 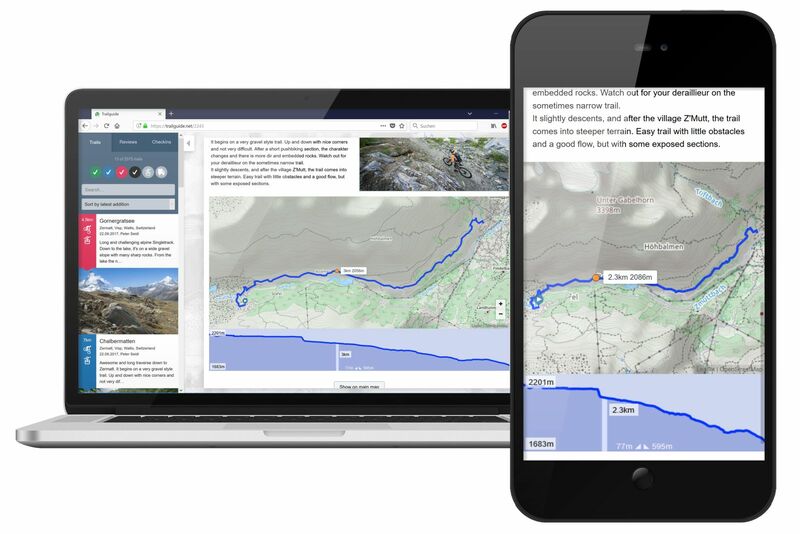 Now you find all the numbers about climbs and descents on Trailguide. On the Computer and on the phone you find the height profile underneath the map of the track. On the left of the chart you see the highest and lowest altitude of the track. In the middle: the total climb and descent of the trail. Click somewhere on the height profile. You then see the position along with the distance and altitude on the map. Move your finger left and right to move the position along the track. 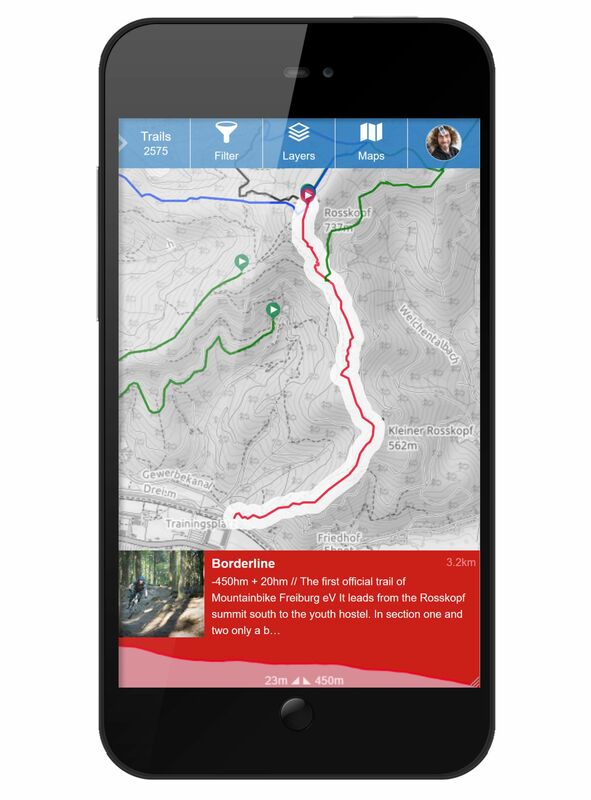 Watch the point moving on the map, to see get an idea of the direction when the singletrack is a closed loop. 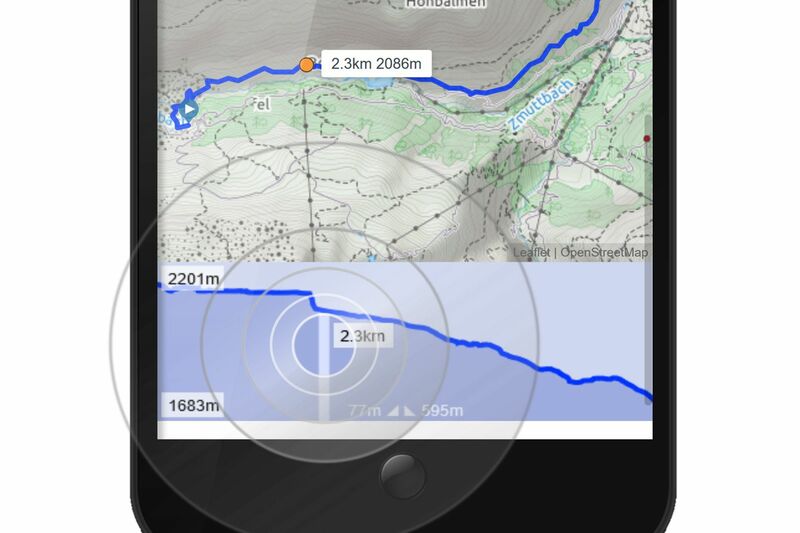 On the main map, click on a trail and you see the height profile, total climb and descent down in the info bar. 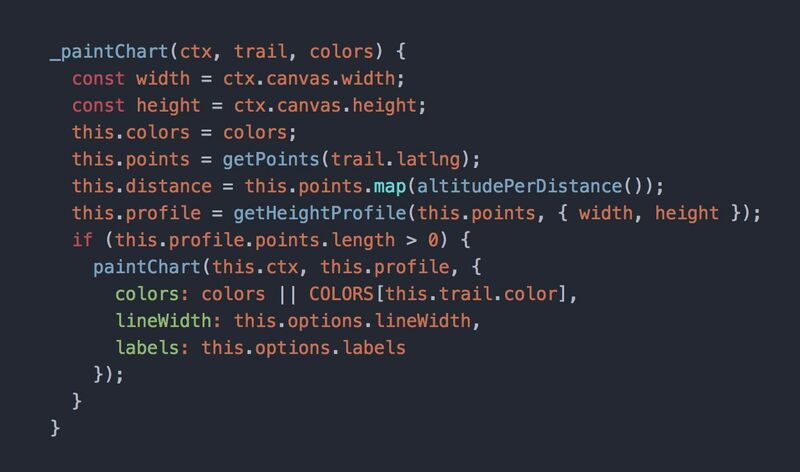 The height profile is automatically generated out of the .gpx track and you don't have to do anything extra to generate it. The profile with the total climb and descent allows you to judge the requirements of the trail much better and helps to find a track you want to ride and can enjoy.